It’s barely a month till Christmas! How’s your Christmas shopping going? Still having trouble thinking of what to give? Well, if your list of recipients includes 2-5 year olds then you’re in luck! I’ve made a list of the things that these kids enjoy. These are based from my experience as a mom of 2 boys (ages 4 and 2) and from spending every other day at the toy store. Don’t ask why! These ideas are good for both boys and girls. The prices indicated are based on mall prices. 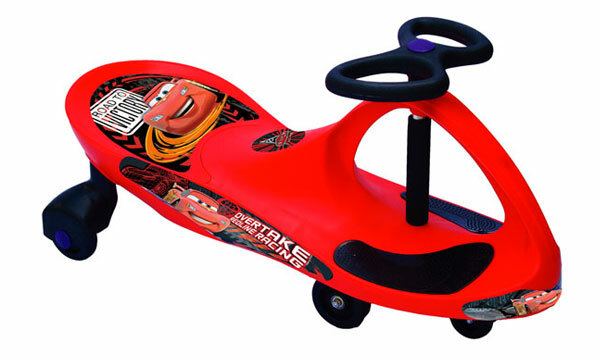 For the younger kids, the 3-wheeled kind is the most ideal as they won’t have trouble balancing. It comes in two kinds, the one with two wheels in front (glider) and the other one with just one wheel in front. DA was able to try the latter first and he was able to get the hang of it after a couple of tries. Ever since then, it’s been his go-to toy whenever we’re at the toy store, which is why I finally got him one for Christmas. Shh, don’t tell him yet! As for the glider, he tried it for about 5 seconds and reverted back to the old one. I think the concept of the glider is more of using the child’s body weight to make turns. As for the one with the single wheel in front, it’s like turning with a bike, where you actually turn the handle. I think that’s more of a good practice for future bicycle riding. 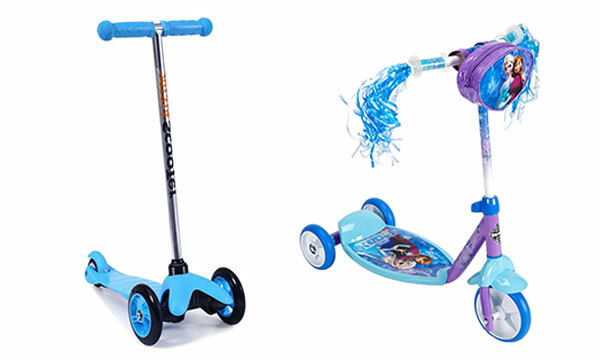 The scooters come in colors and designs for boys and girls. We decided to get one for the kids when DA was around 2+. At 4, he still uses fights with his brother over it. It’s super simple to use. You can let it move on its own by twisting the handles or you can use your feet for extra force as with a scooter. These cars also come with colors and designs for boys and girls. A variant of the traditional bicycle is the bicycle with no pedals. It’s called a scooter bike. It’s great for learning how to balance without bothering with the pedals. 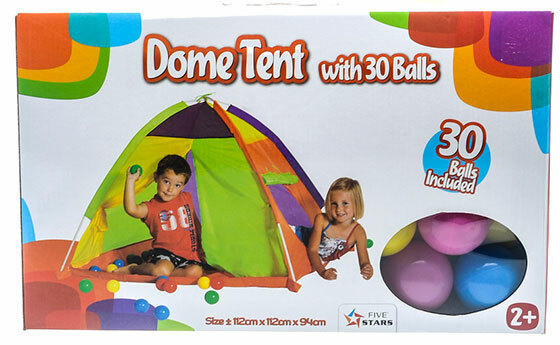 I’ve seen our neighbor’s kid use it and it seemed fun. DA first started with frame tray puzzles. I introduced them to him when he was around 3 but it was only at 4 years old when he took interest in it. All because I got him a Justice League one with Wonder Woman in it. She’s his number one crush, I think. LOL! From there, we moved on to 48-pc puzzles, which he was able to finish. Since then, I haven’t gotten him a higher level yet. For their age, go for the floor puzzles as the pieces are bigger in size, which makes it easy for the child to hold. Also choose a design that’s interesting to the child. In our case, it’s all about superheroes, Spiderman, Avengers, and Justice League. I found the puzzles in the above photo from National Bookstore. It’s a brand called Crocodile Creek. 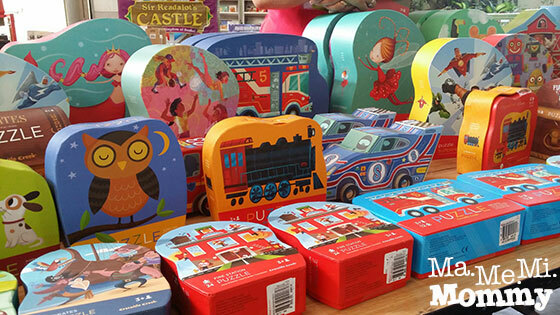 The boxes are so nice and are really attractive to the kids. Some even come in the form of cars with wheels! They come in different number of pieces and some even come in different shapes. Kids love to doodle and draw. Give them a pad of paper and they can finish it all in one sitting putting lines and circles in every page. They delight in colorful art materials such as the one in the photo. DA got that as a gift years ago and the brothers regularly use them on my sketch pad, writing and doodling. 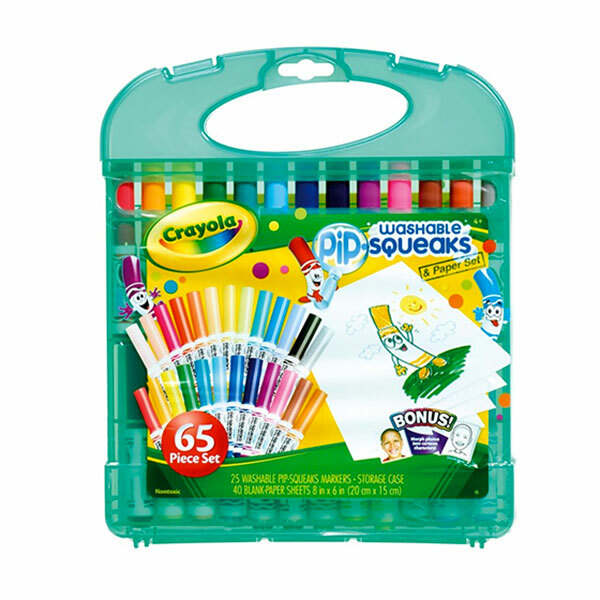 There are other variants that include washable crayons, colored pencils, and sets of papers as well. That’d be ideal, lest the kids start drawing on the walls! Kids love jumping on beds, at least mine do. I think they might have read the monkeys jumping on the bed story one too many times. LOL! Whenever they see a trampoline at a park, they clamour to jump on it. I figure all kids just have too much energy and this is a good way to spend it. If one has the space, it’d be nice to get the big one with a net enclosure all around. Otherwise, a mini trampoline will do though extra precaution must be taken. A friend was able to get the big outdoor one from HMR. We were able to try it when they had a party at their house. It was a sure hit among the kids. 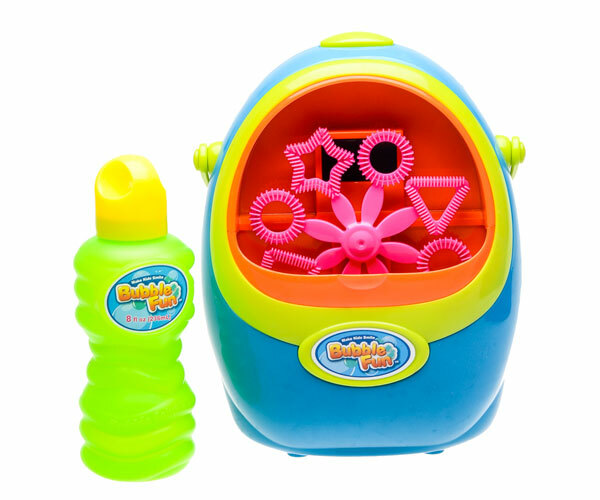 This is one of those toys that helps with the kids’ fine motor skills. They roll it, they mold it, they cut it, they have hours of fun with it. By the end of their play though, at least for my kids, the colors are all mixed up and the floor is a mess. Oh well! There are so many machines available to make all sorts of things with the popular dough. Apart from the usual ice cream or burger machines, we were able to get a construction set before where the machine crunches out steel beams and pipes. You could even make those tiny road safety cones with it. Super cute! Who doesn’t love LEGO? Building bricks helps them with their fine motor skills and boosts their creativity. 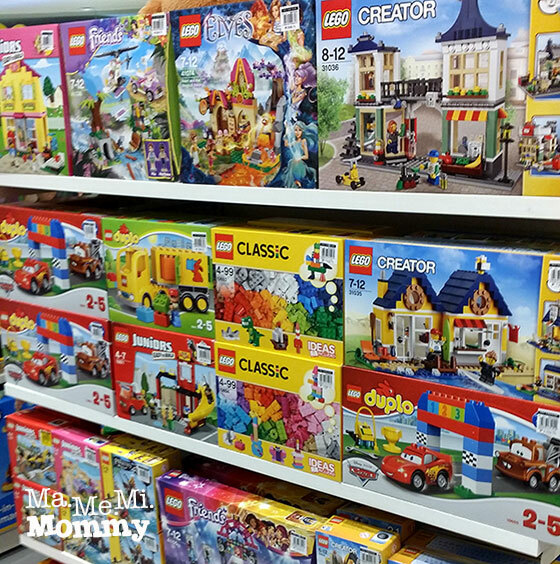 For the younger kids, especially with babies in the house, opt for the bigger pieces like the LEGO Duplo. My kids have graduated from that already as we only have a limited collection of the Duplo kind and more of the regular sized bricks. 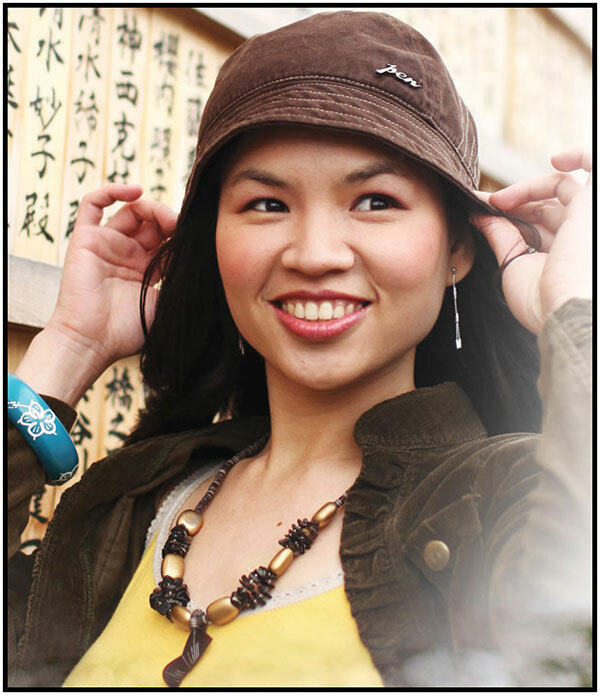 See our collection here. I’ll be the first to admit that the LEGO brand is truly a notch higher in price than other brand counterparts but with that higher price comes a better quality. I’ve bought some of the other brands that are out in the market and had the kids test them. What was supposed to be fun turned out to be a source of frustration because the bricks were hard to put together. They were a bit sharp also that pressing on them made their hands hurt. I so agree to your list mommy! especially the play-doh. My kiddo has already asked for a LEGO box for Christmas! I plan to buy a bike for my Zd, But his papa told me na hintayin namin pag uwi nya kasi gusto nya sya ang bibili para sa anak nya. Thnak you for this mommy, will check these out. I love Play-Doh. The big sets are great value for money. Thanks for the tips! I love the 3 wheelie scooter and washable crayola for my kids! Will definitely look for those! Marie recently posted…Personal| My Princess at 5! Thanks for this list. 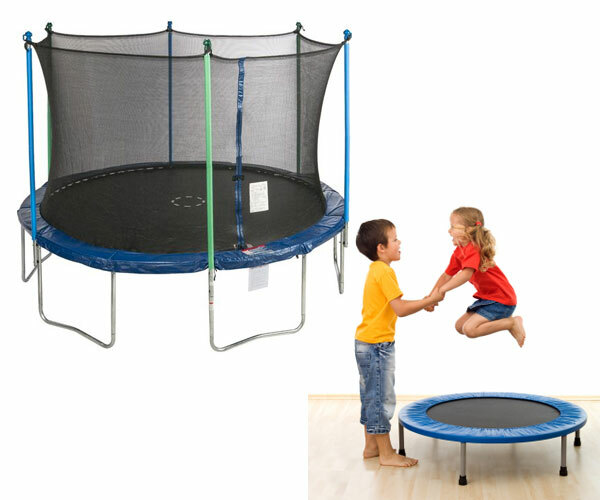 I haven’t thought about a trampoline, now I want to get one for my little girl, it’s just the space I’m worried about, she doesn’t have a designated play room. That tent by the way is big, we have it and I can fit inside, space eater, too, haha. We’re throwing out the kids’ scooters as we move, they’ve become so rusty na. 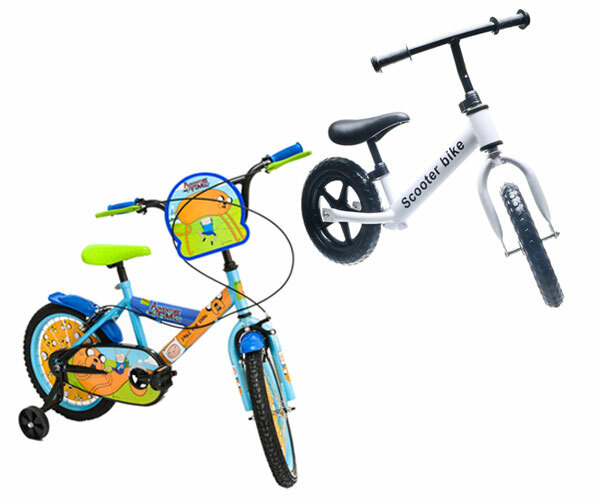 I’m torn between getting them bikes this Christmas or roller skates/blades. Parang mas madaling habulin ang roller skates sa bike. I love all those ideas! Seriously! I went from 1-10 and i just know my kids would love those. Konti problem lang sa trampoline hehe wala kami space kasi gusto ko yung may net para hindi sila mahulog. Thanks Pearliza! 🙂 space nga talaga ang problem sa trampoline. Blocks are love! I’m also thinking of getting my son a new bike for Christmas because his is already worn with use. That’s next on my list too because I want him to learn how to bike. He hasn’t gotten around to pedalling full turns and he got frustrated when I kept telling him he was doing it wrong. Haha. 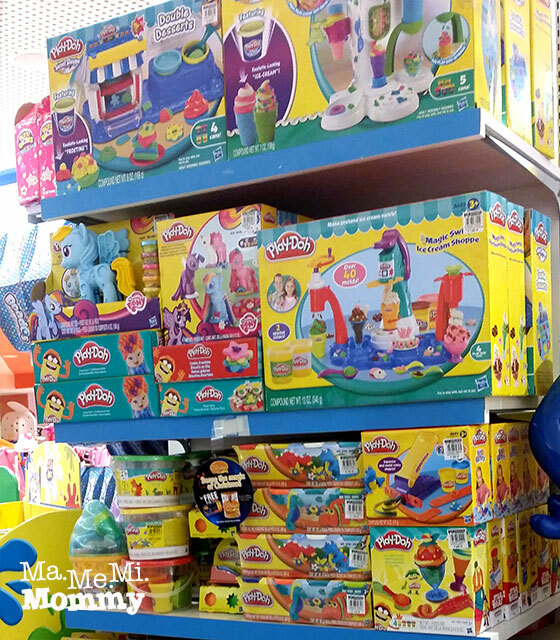 Play doh is on the top of our list! My kids totally love it. I actually haven’t done any shopping yet so thanks for the tips! Ruth recently posted…Comment on Grilled Peaches with Chantilly Cream by Pam @ Hey, Miss Adventures! We’re thinking of giving the youngest a new bike this Christmas since the hand-me-down purple bike of ate is already broken. Sana kasya pa sa budget. Ang cute ng Bubble machine. Hindi ko alam meron palang toy na ganyan.